This month I have read two books alongside my copious amounts of magazines! The first was Some Kind of Fairy Tale by Graham Joyce, a tale about a family member who disappears and returns 20 years later. She has been living with the fairies but they aren’t quite who we mythologise them to be, behave in quite a naughty fashion and aren’t particularly happy when someone leaves. The writer is very clever in changing your ideas about fairies and this creates a jarring effect that reflects what the characters in the book are experiencing. I found this book to be very strange and uncomfortable at times so not sure if I would recommend it. The second book I read was Without You, There is No Us by Suki Kim. 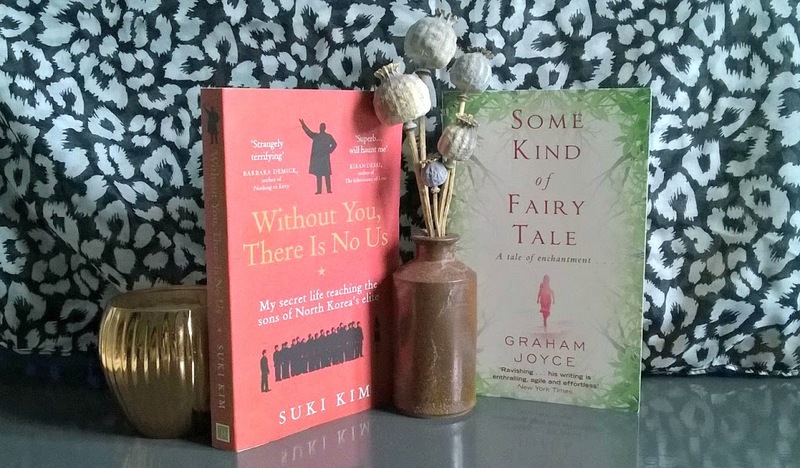 I found this book very interesting as Suki recalls her recent year of teaching elite children in North Korea at a time when there was a leadership change. Suki tells the story in a neutral storyline and talks honestly about her conflict of wanting to educate her students on the real world vs telling them too much which could get them killed. I would encourage you to read this book even if you aren’t interested in North Korea as it is an easy and informative read. PS I’m setting up a .com and moving everything to wordpress over the next month. I’m doing it myself and learning as I go! So if you lose me here suddenly I will be at pretentiousfringe.com!